Ah, summertime. Sun-drenched skies and stunning views are in abundance here in Dry Creek Valley, making summer the ideal time to take your meal outdoors. And unlike Napa Valley, where county regulations make it difficult to offer picnic facilities to their guests, many Dry Creek Valley wineries have some of the best picnic experiences in all of Sonoma County. 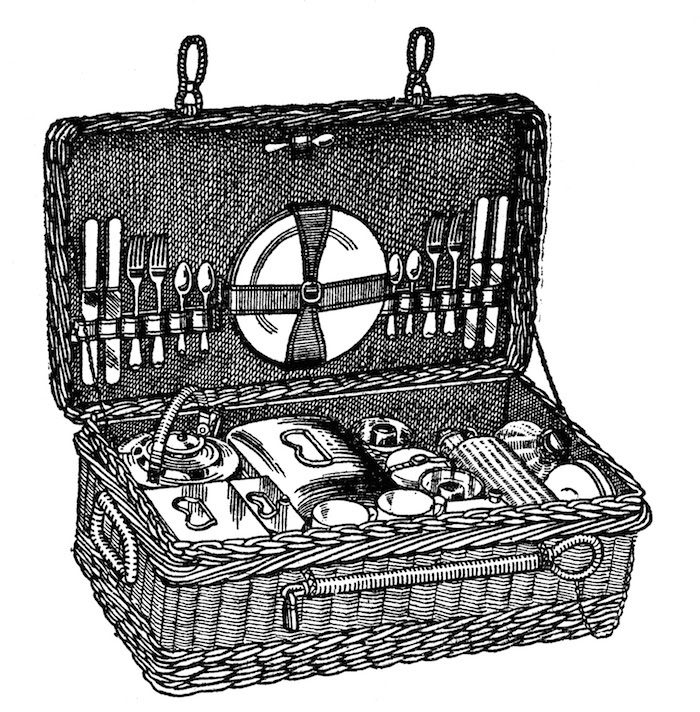 So whether you’re packing your picnic in a wicker basket or a Trader Joe’s carry-on, whether the contents are pre-packed gourmet or assembled in your kitchen, there’s a Dry Creek Valley vineyard picnic area for every occasion… and a bottle of wine to go with it! With idyllic slopes and majestic vineyards in every direction, breathtaking panoramic views will be the backdrop to any picnic at Bella Vineyards. With unique property features such as their famed underground wine caves and tasting room tucked into a steep hillside beneath their prized Lily Hill vineyard, this is one Dry Creek Valley picnic stop you won’t want to miss. An apple orchard shades their picnic area and bocce court on this family owned/operated estate vineyard and winery. The tasting room is in a rustic barn with Old World charm and these grounds provide a more friendly, social atmosphere for you prospective picnic-goers; picnicking here doesn’t feel so much like being outdoors as it does feel like hanging out in a friend’s backyard or patio….albeit, one that serves amazing wine! Click here to visit our Itineraries page for more unique Dry Creek Valley itinerary ideas! For a personal vineyard experience and the perfect spot to whittle away summer afternoons – or any afternoon – you can’t go wrong with Dutcher Crossing Winery. With panoramic vineyard views and a covered picnic area, Dutcher Crossing Winery puts you is right in the beating heart of Sonoma wine country. Sit casually, take your time, put life on pause, and enjoy a place where distractions gradually disappear and you can savor your picnic in serenity. There is a rustic beauty to these picnic grounds which are part of organic, diversified, family farm. Owners Lou and Susan Preston are organic farmers in addition to being top-notch wine producers and many of their products including olives, pickled veggies, seasonal organic produce and hearth breads baked in the winery stone oven are available for purchase in the tasting room – just in case your picnic needs some accoutrements. Don’t forget to take a tour of the grounds where you’ll see the lambs roaming about the property along with some very friendly felines. A Bocce ball court + picnic tables + plenty of sunshine = wine not? This is a relaxed, inviting, casual atmosphere from the tasting room to the shaded picnic and play area where you can enjoy your wine purchases. There are also a mouthwatering array of charcuterie offerings just in case you want to add to that picnic bounty. The perfect venue to picnic, sip and play… all the ingredients for an amazing afternoon here in Dry Creek Valley. A short 10-minute drive from the Lake Sonoma Dam, Gustafson Family Vineyards is a destination that embraces the natural beauty of the redwoods, the largest Madrone tree in Sonoma County, and 30 mile panoramic views. The winery, barrel cellar, and tasting deck, all set in the heart of the vineyard, invite you to linger with your picnic and enjoy their wines while enjoying perhaps, the best view in all of Dry Creek Valley.